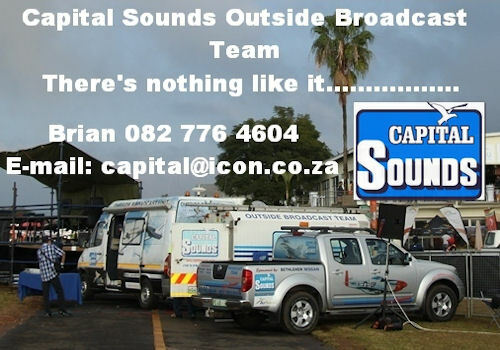 Armed Forces Day, during which all arms of the Defence Force will take part, will take place on the Port Elizabeth beach front on 21 February 2016 and is set to be the biggest event of its kind open to the public. Navy spokesman Commander Greyling van den Berg said: "This is the largest military capability demonstration since the dawn of democracy. More than 3 000 army, navy and air force members are expected to take part in the 'mini war' that will involve more than twenty jets and other aircraft from the Air Force, a range of combat ships, frigates, submarines from the Navy as well fighting vehicles from the Army. The exercise will also commemorate the 99th anniversary of the sinking of the troopship SS Mendi in the English Channel on 21 February 1917. The Mendi that was carrying 646 people, most of whom were black South African troops, sunk after a collision with Darro, a large cargo ship. The sinking was a major loss of life for the South African military, and was one of the 20th century's worst maritime disasters in UK waters. 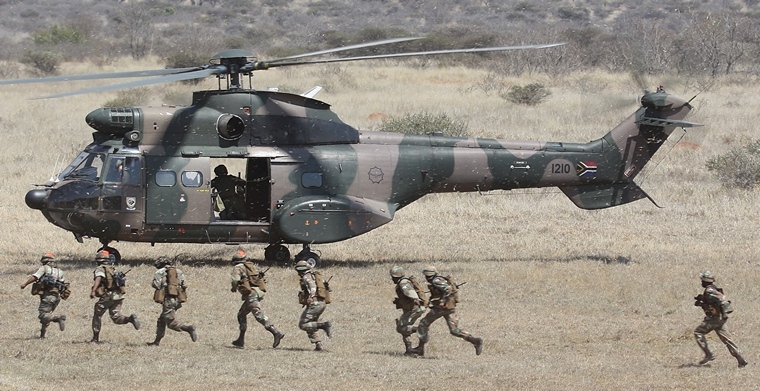 A Fan Park, the size of three rugby fields will be establish at Kings Beach where the public will be able to helicopters, tanks and other military hardware up close. 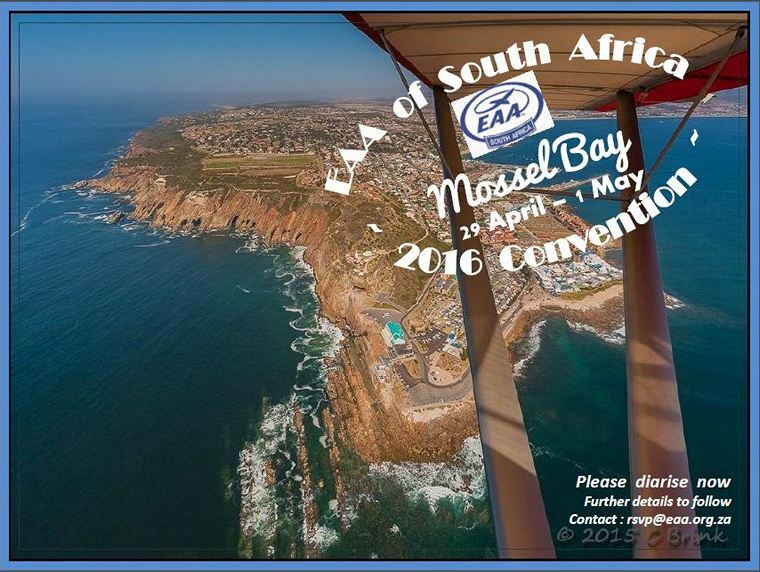 Enthusiasts will be able to tour some of the vessels in the Port Elizabeth Harbour on February 13 and 14. Enthusiasts will be able to tour some of the vessels in the Port Elizabeth Harbour on February 13 and 14 whilst night-firing exercises by navy vessels in are planned for 18 February in Algoa Bay. 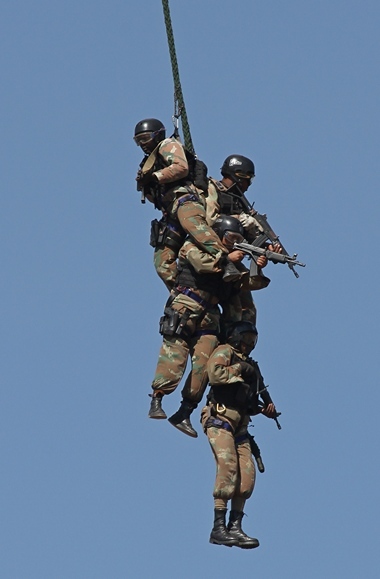 The Organisers promise a display that would "blow the minds" of spectators. 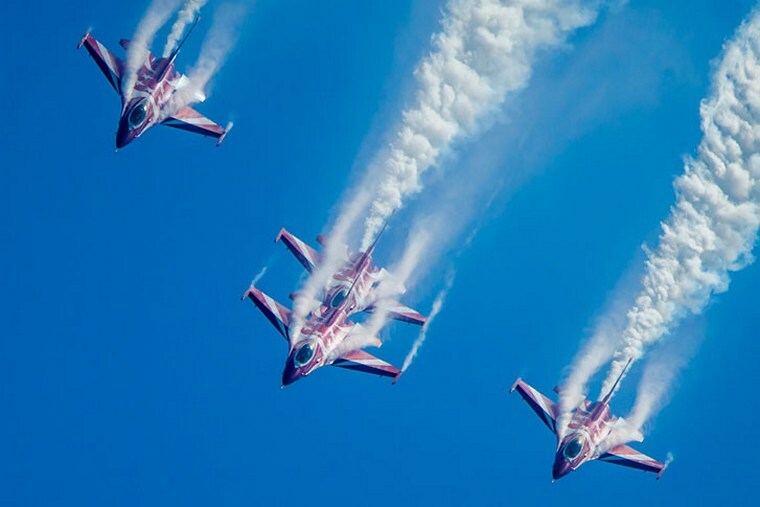 Singapore Airshow, Asia's largest and one of the most important aerospace and defence exhibitions in the world, will return for its fifth edition from 16 to 21 February 2016. 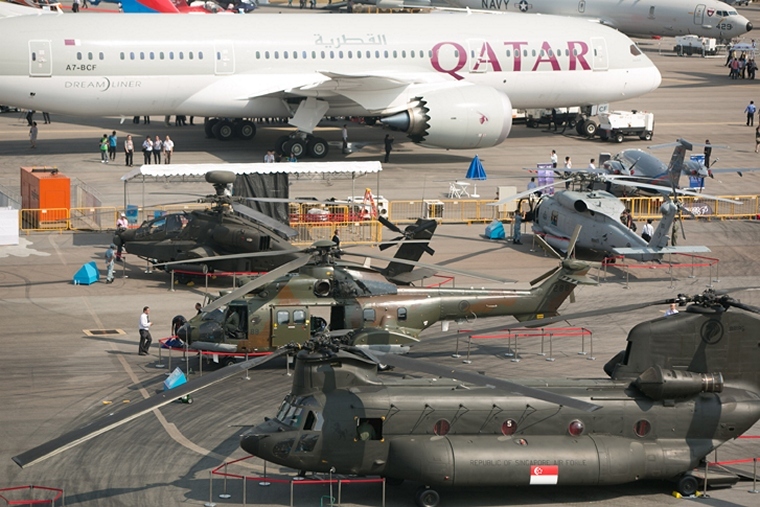 Singapore Airshow has been successful in bringing together the largest number of high-level military and government delegations and leading industry players from airlines, airport operators, aircraft manufacturers and related industries from the all corners of the globe. 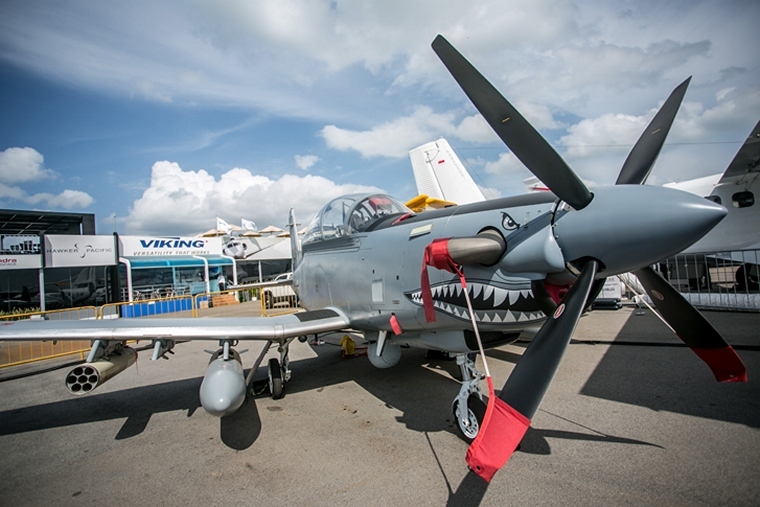 The 2016 edition has received a strong vote of confidence with more than 1,000 participating companies from some 50 countries all confirming their attendance at the Airshow. 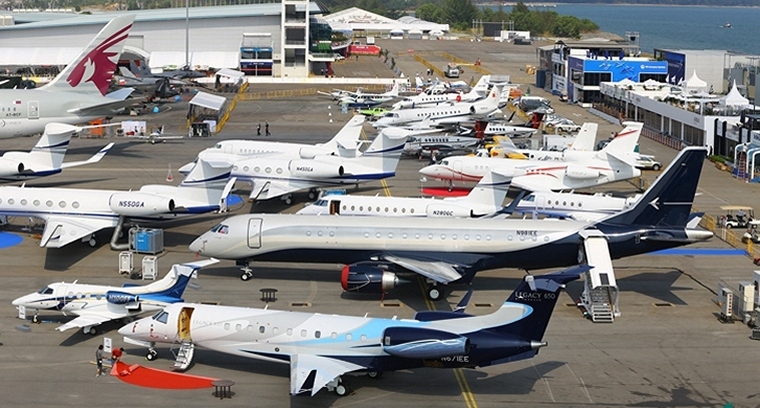 This constitutes over 90% of exhibition space being taken up before the show, 75% of which are returning exhibitors and industry heavyweights, such as Airbus, Bell Helicopter, Boeing, Bombardier, Embraer, Israel Aerospace Industries (IAI), Pratt & Whitney, Rolls-Royce, ST Engineering, Thales and UTC Aerospace Systems. The projected growth of Asia's aircraft fleet size over the next 20 years is phenomenal. According to Boeing, Asia will account for close to 40 percent of new aircraft deliveries whilst North America and Europe will account for 21 percent and 19 percent respectively, making Asia's fleet size the largest in the world by 2034. This rate of growth emphasises the need for regional investment to support and expand aviation infrastructure including airport and airspace capacity, and the corresponding increase in demand for MRO and other auxiliary services and industries. This underscores Singapore Airshow's importance as the strategic platform of choice for key industry players to tap on emerging markets, showcase their latest products and technologies, forge partnerships and be attuned to the needs and development of the industry in the thriving Asia Pacific region. NetJets, Inc., a Berkshire Hathaway company, and Cessna Aircraft Company, a subsidiary of Textron Aviation Inc., a Textron Inc. (NYSE:TXT) company, today announced placement of the first of two demonstrator Cessna Citation Latitude aircraft into the NetJets Signature Series fleet. This aircraft will be positioned throughout the United States and will be used to showcase the Citation Latitude's class-leading performance, size and comfort to NetJets Owners ahead of its fractional aircraft deliveries beginning in June. NetJets plans to place a second demonstrator aircraft in Europe later this year. "As the newest aircraft in the NetJets Signature Series, the Citation Latitude will be a great addition to our fleet of the world's best aircraft," said Pat Gallagher, NetJets Executive Vice President of Sales and Marketing. "We are excited to demonstrate this exceptional midsize business jet to our Owners and their guests, and build excitement for its upcoming availability early this summer." "Adding the Citation Latitude to NetJets' fleet builds on our more than 20-year relationship of working together to offer the best travel experiences for their Owners. We know that NetJets Owners and guests will appreciate trans-continental range and the flexibility to operate at smaller airports while traveling in the most comfortable cabin in its class," said Scott Ernest, President and CEO, Textron Aviation. "NetJets is an ideal partner to demonstrate the Latitude's innovation in terms of performance and value proposition that allows operators to increase productivity and profitability. The Latitude has entered the market as the clear leader in this segment where our customers have said they want the combination of large cabin comfort at a midsize cost of ownership." In 2012, NetJets placed an order for up to 150 Cessna Citation Latitudes, including 25 firm orders and options for 125 more. In addition to the Latitude's class-leading performance capabilities and cabin comfort, NetJets aircraft will include several custom enhancements such as an expanded refreshment centre with a hot beverage maker and the NetJets 360 Connectivity package that includes Wi-Fi, Text & Talk and the NetJets In-Flight Entertainment System. With a maximum range of 2,850 nautical miles, the Citation Latitude can fly non-stop from key U.S. cities such as New York to Los Angeles and Chicago to San Francisco. With a flat floor and six feet of cabin height, the Latitude affords the most open, spacious, bright and refined cabin environment in the midsize category. Improving cabin comfort for passengers and crew alike, the Latitude features a new cabin cooling system and a new pressurization system. The systems provide a 5,950-foot cabin altitude when the aircraft is at its maximum operating altitude of 45,000 feet, allowing Owners to arrive at their destinations feeling more refreshed. 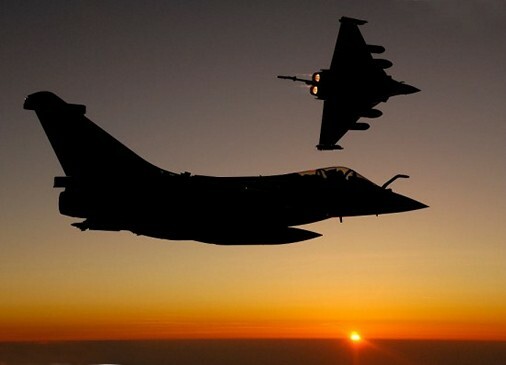 During French President François Hollande's visit to India, French and Indian government authorities signed an intergovernmental agreement paving the way for the conclusion of a contract for the sale of 36 Rafale fighters to India. Dassault Aviation is very pleased with this progress, and is actively supporting French authorities in their efforts to finalize a complete agreement within the next four weeks. The Rafale is a twin-jet fighter aircraft able to operate from both an aircraft carrier and a shore base. The fully versatile Rafale is able to carry out all combat aviation missions: air defence, interception, ground support, in-depth strikes, reconnaissance, anti-ship strikes and nuclear deterrence. The Rafale entered service with the French Navy in 2004 and with the French Air Force in 2006. The Egyptian Air Force received its first aircraft in 2015. The Rafale has proven its worth in combat in Afghanistan, Libya, Mali, Iraq and Syria. On 30 June 2015, 138 Rafale aircraft had been delivered. 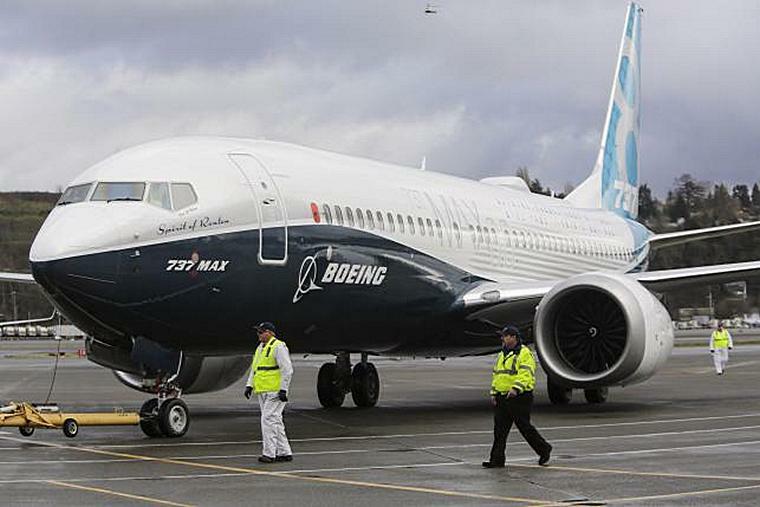 The Boeing [NYSE: BA] 737 MAX 8 took to the skies for the first time today. The 737 MAX program achieved the milestone on schedule which begins a comprehensive flight-test program leading to certification and delivery. With the latest technology LEAP-1B engines from CFM International and Boeing-designed Advanced Technology winglets, the first member of the efficient 737 MAX family completed a two-hour, 47-minute flight, taking off from Renton Field in Renton, Wash., at 9:46 a.m. local time and landing at 12:33 p.m. at Seattle's Boeing Field. "Today's first flight of the 737 MAX carries us across the threshold of a new century of innovation - one driven by the same passion and ingenuity that have made this company great for 100 years," said Boeing Commercial Airplanes President and Chief Executive Officer Ray Conner. "We are tremendously proud to begin testing an airplane that will deliver unprecedented fuel efficiency in the single-aisle market for our customers." During the flight, 737 MAX Chief Pilot Ed Wilson and Boeing Chief Test Pilot and Vice President of Flight Operations Craig Bomben departed to the north, reaching a maximum altitude of 25,000 feet (7,620 meters) and an airspeed of 250 knots, or about 288 miles (463 kilometers) per hour typical of a first flight sequence. While Capts. Wilson and Bomben tested the airplane's systems and structures, onboard equipment transmitted real-time data to a flight-test team on the ground in Seattle. "The flight was a success," said Wilson. "The 737 MAX just felt right in flight giving us complete confidence that this airplane will meet our customers' expectations." The new 737 MAX 8 will deliver the highest efficiency, reliability and passenger comfort in the single-aisle market with 20 percent lower fuel use than the first Next-Generation 737s - and 8 percent per seat lower operating costs than the A320neo. The 737 MAX 8 is the first member in Boeing's new family of single-aisle airplanes - the 737 MAX 7, MAX 8, MAX 200 and MAX 9 - to begin flight testing. The 737 MAX will extend the Next-Generation 737 range advantage with the capability to fly more than 3,500 nautical miles (6,510 km), an increase of 340 - 570 nmi (629-1,055 km) over the Next-Generation 737. The 737 MAX family has 3,072 orders from 62 customers worldwide. The H160's second prototype took off today in Marignane, kicking off a busy 2016 for the H160 as it pursues its flight test program with two prototypes. 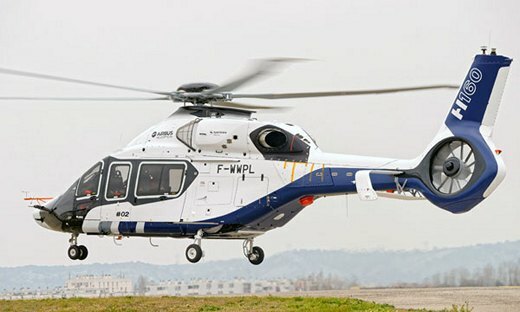 The second prototype is the first H160 to fly with the Turbomeca Arrano engines. PT1 had accumulated more than 75 hours of flight testing by the end of 2015, allowing the aircraft to open the flight envelope and validating some of the helicopter's excellent features and outstanding handling qualities right from the start. "After a very busy year 2015 in terms of flight activities, introducing PT2 is an important step in the H160 development as we will launch performance testing with the Turbomeca Arrano engines." said Bernard Fujarski, head of the H160 Program. "The development program will benefit from 5 development aircraft; two helicopter zeros and three flying prototypes will be paving the way to entry into service in 2018." he added. ANA Holdings has signed a purchase agreement with Airbus covering the firm order of three A380s. With this milestone order for Airbus, ANA Group has joined the customer base for the world's largest passenger aircraft and will become the first Japanese airline to operate the type. ANA Group will take delivery of the aircraft from 2019. ANA Group has selected Rolls-Royce Trent 900 engines to power its new A380 fleet. "We are extremely proud to welcome ANA Group as a new customer for the A380," said Fabrice Brégier, Airbus President and Chief Executive Officer. "As one of the world's most prestigious airlines, ANA Group will be able to benefit from the A380's proven operating economics and unrivalled passenger appeal. We are confident that the A380 will play an important role in the success of ANA HD's new business strategy. The A380 will help ANA Group overcome capacity constraints at Tokyo's busy airports, transporting more passengers, more efficiently and in greater comfort - all at lower cost." ANA Holdings' new order follows a recent order placed in 2014 and 2015 for 37 A320 Family single aisle aircraft. Designed for the challenges of the 21st century aviation industry, the A380's unique size allows airlines to maximize their revenue potential through an optimized cabin - boosting their contribution to profit by up to 65 per cent per flight compared to its nearest competitor. 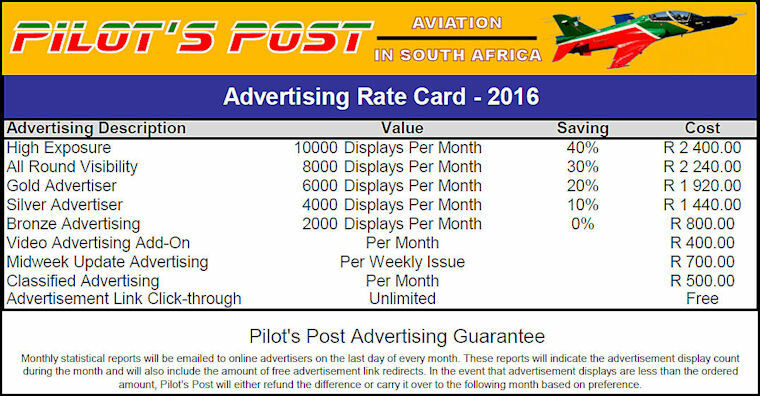 Its unbeatable passenger experience leads to higher load factors and more revenue, for higher profitability. The A380 carries 544 passengers in a typical comfortable four class configuration on routes up to 8,200nm/15,200km. From Tokyo this enables non-stop service to the US as well as to destinations across Europe. 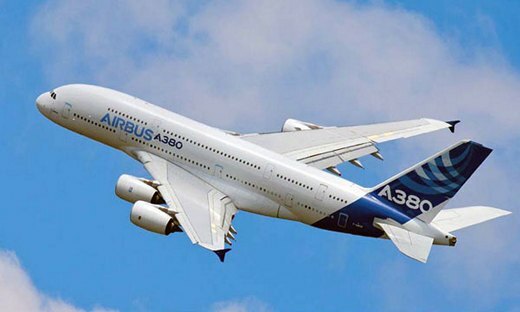 Including the ANA Holdings' order, Airbus has now received a total of 319 firm orders for the A380 from 19 airlines worldwide, of which 179 A380s have been delivered to 13 world class airlines. Currently, A380 is operated on over 100 routes to 50 destinations. MD Helicopters, Inc. (MDHI) announced receipt of a firm fixed price contract to manufacture and deliver twelve (12) MD 530F Cayuse Warrior Scout Attack helicopters with enhanced mission equipment to the Afghan Air Force (AAF). This award, contracted through the Department of the Army Non-Standard Rotary Wing, reflects and reinforces the confidence of the U.S. Army in MD Helicopters' ability to deliver reliable, mission-ready aircraft to support the United States Military and our partner nation Allies. "The MD 530F has played an integral role in building the capabilities of the Afghan Air Force and the Afghan National Defense and Security Forces since the first aircraft arrived in Shindand in 2011," said Lynn Tilton, Chief Executive Officer for MD Helicopters. "In both training and combat configurations, the fleet has consistently maintained a mission launch rate of greater than 97%. 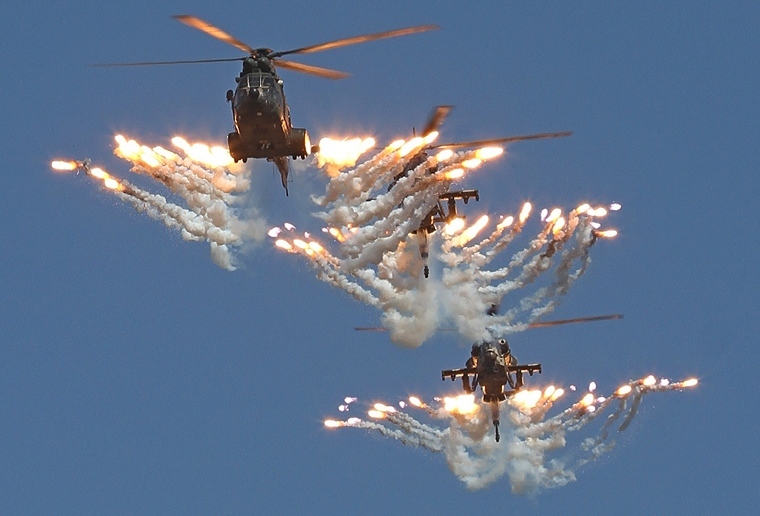 This reliability - coupled with ease of operation, proven close air support and close air attack capabilities - stands as a testament to the legacy of this iconic airframe." Canada, Newfoundland: Seven people were taken to hospital after an American Airlines plane from Miami to Milan made an emergency landing in Newfoundland after the jet briefly encountered severe turbulence. The seat belt light was on when the Boeing 767 carrying 192 passengers and 11 crew members encountered turbulence. Three flight attendants and four passengers were transported to hospital for further evaluation. None of the injuries was apparently life threatening. Russia, Krasnoyarsk: A Russian MiG-31 fighter jet has crashed in the Krasnoyarsk region in Siberia. 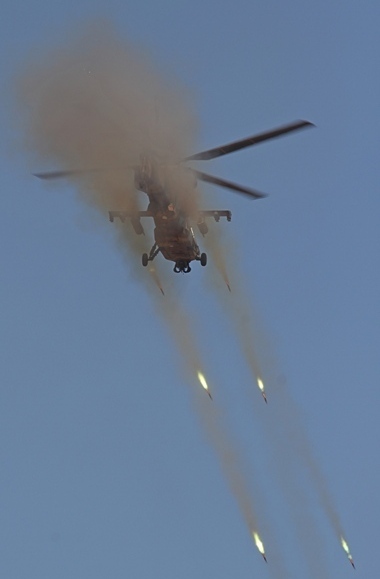 The pilots were able to eject safely and no casualties have been reported. According to the Russian defence ministry the jet was not carrying any missiles and did not cause any damage on the ground when it crashed. Preliminary reports say that a technical failure was responsible for the plane going down. MiG-31 production was suspended in 1994 and a program is underway to modernize all of the planes of this type that are operated by the Russian Air Force. Egypt, Arish: An EgyptAir mechanic whose cousin joined Islamic State in Syria is suspected of planting a bomb on a Russian passenger plane that was blown out of Egypt's skies in late October. So far Egypt has publicly said it has found no evidence that the MetroJet flight, which crashed in the Sinai Peninsula after take-off from Sharm el-Sheikh airport, killing all 224 people on board, was brought down by terrorism and a senior security official at the airline denied that any of its employees had been arrested or were under suspicion, and an Interior Ministry official also said there had been no arrests. Sources, who declined to be identified because of the sensitivity of the ongoing investigation, said the mechanic had been detained, along with two airport policemen and a baggage handler suspected of helping him put the bomb on board. USA, St. Louis: The St. Louis International Airport was briefly closed when a Boeing F-18 fighter jet made an emergency landing. The F-18 was having mechanical issues and arresting gear had to be deployed on the runway to help stop the jet. The gear is a wire system that sits below the runway and rises above the runway when activated. Nobody was hurt in the incident. UK, Heathrow: A Chicago-bound British Airways Boeing 747-400 over the Atlantic Ocean was forced to turn back to London's Heathrow Airport two hours into its to Chicago when the pilot noticed something amiss with the landing gear. On approach to Heathrow the crew dumped fuel, lowered the gear very early, subsequently reported an unsafe gear indication for both main gear, only nose and body gear had extended. The aircraft landed safely on nose and body gear only and stopped on the runway about 20 minutes after reporting the unsafe gear. UK, RAF Leeming: A RAF pilot who suffered a partial loss of vision during a routine training sortie managed to land his training jet after a colleague talked him down while flying nearby. The initial reaction of those on the ground was for the pilot to eject over the North Sea but the risk of significant ejection injuries to pilot and the fact that the aircraft would have been lost was judged to be too high. An RAF instructor, Flight Lieutenant Paul Durban who flew operationally in Iraq and Afghanistan, was sent to help the stricken pilot land. Flying in formation he was able to talk him down safely. February 3 1985 - First flight of the Atlas XH-1 Alpha, a South African prototype attack helicopter, used as a concept demonstrator for the then-planned Rooivalk project. February 3 1966 - Luna 9, an unmanned Soviet spacecraft, makes the first successful landing on the Moon. February 3 1859 - Birth of Hugo Junkers, innovative German engineer, as his many patents in varied areas (gas engines, aeroplanes) show, pioneering the first great changes in aviation materials and design technology. February 3 1935 - Hugo Junkers died, German engineer and aircraft designer, who pioneered the first great changes in aviation materials and design technology. February 4 1949 - In the US, the Civil Aviation Authority (CAA) gives authorization for the full use of ground control approach (GCA) landing aids. 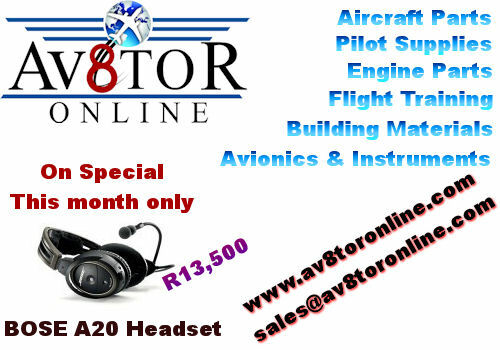 These will be used only in conditions of poor visibility caused by fog or bad weather and comprise a ground radar system. February 5 1972 - Airlines in the United States begin mandatory inspection of passengers and baggage for weapons and explosives. February 5 1967 - Launch of Lunar Orbiter 3, NASA spacecraft designed to photograph areas of the lunar surface for confirmation of safe landing sites for the Surveyor and Apollo missions. It was also equipped to collect selenodetic, radiation intensity, and micrometeoroid impact data. February 6 1933 - Gayford and Nicholetts make the first non-stop flight from England to South Africa in a Fairey Long-Range Monoplane. 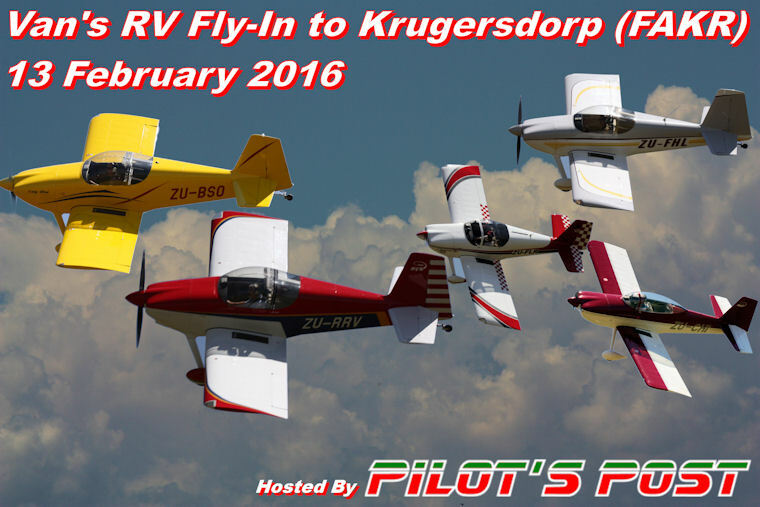 The 5,309 mile (8,544 km) flight is a new distance record. They take 57 hours 25 min. February 8 1988 - The Federal Aviation Administration retires an aircraft registration number for the first time - That of Amelia Earhart's airplane, which disappeared over the Pacific in July 1937. February 8 1941 - A fleet of Junkers Ju 52s is used to airlift German troops to North Africa. February 8 1928 - Charles Lindbergh with the Spirit of St Louis completes the 7,800-mile (12,600 km) "Good Will Tour" of Latin America and the Caribbean after having spent 125 hours in the air. February 9 1969 - First flight of the Boeing 747 "Jumbo Jet" airliner takes place in Seattle, Washington. The wide-bodied, long-range transport is capable of carrying 347 passengers, and is the largest aircraft in commercial airline service in the world. February 9 1936 - Tommy Rose lands at Wingfield Aerodrome in Cape Town, South Africa, after a record flight from England of 3 days 17 hours 38 min.